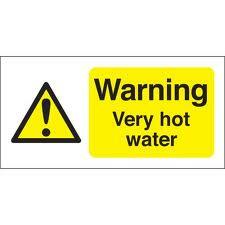 Requirement G3 sets out enhanced and amended provisions on hot water supply and safety. G3 applies safety provisions to all types of hot water systems and new provision on the prevention of scalding. The former G3 only related to unvented hot water storage where as the new requirement relates to all hot water systems. The first part of G3 is a new requirement that heated wholesome water to be supplied to any wash basin, or bidet in or adjacent to a room containing a sanitary convenience, any wash basins, bidet, fixed bath or shower in a bathroom and any sink is provided in an area where food is prepared. The Second part of G3 is an expanded requirement that provides that any hot water system, including associated storage or expansion vessel shall resist the effects of any temperature or pressure that may occur in normal use or as a consequence of a reasonably anticipated malfunction. The third part of G3 is an expanded requirement that provides that any part of a hot water system that incorporates a hot water storage vessel shall incorporate precautions to ensure that the temperature of the stored water does not exceed 100oC and that any discharge from safety devices is safely conveyed to a point where it is both visible and will not cause a danger to persons in or about the building. The final part of requirement G3 says the hot-water supply to any fixed bath must be designed and installed so that the temperature of the water cannot rise above 48oC. This final part of G3 applies to new-build or conversion properties and is a new requirement, intended to prevent scalding. G3 applies to domestic greenhouses, small detached buildings and extensions to buildings, including conservatories if they are to be served by a water supply from a dwelling.